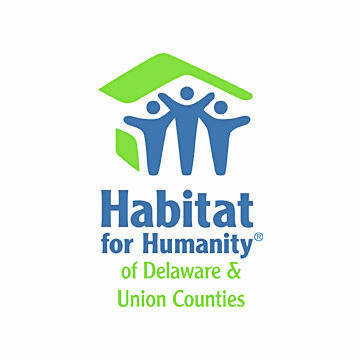 This year the Builder Industry Association has chosen to partner with Habitat for Humanity of Delaware & Union Counties to provide volunteers needed to staff model homes at the BIA’s annual Parade of Homes. Through the partnership, BIA is offering community members who volunteer an opportunity to gain free admission into the Parade of Homes and also support Habitat for Humanity at the same time. “This is a tremendous opportunity for our organization both in terms of visibility and for the funds this event will generate which are needed for our planned fall builds” said Todd Miller, Habitat executive director. With over 300 volunteer shifts to fill, Habitat for Humanity is actively recruiting community volunteers willing to help staff model homes at the Parade of Homes. Volunteers will receive free admission and parking, as well as a Habitat for Humanity T-shirt to be worn during their shift. Habitat for Humanity will earn $20 for every hour volunteered at the Parade of Homes. Volunteers will have the opportunity to tour the homes either before or after their shift. The BIA Parade of Homes runs every day from Sept. 1-16 and is located in Eversole Run at Jerome Village in Plain City near Dublin. Volunteer shifts during the weekends are four hours in the morning and four hours in the afternoon. Shifts during the weekdays are three-and-a-half hours long. Volunteers will need to be able to stand on their feet for that length of time. Those interested in learning more or signing up for a shift should visit Habitat for Humanity’s website at www.HabitatDelawareUnion.org. To learn more about the BIA Parade of Homes, visit www.BIAParade.com. Submitted by Habitat for Humanity of Delaware & Union Counties.